A Portrait of my daughter, once a week, ever week, in 2014. Isla: Besides being outside your favorite place is likely the window sill. You would sit there happily for hours if I let you. 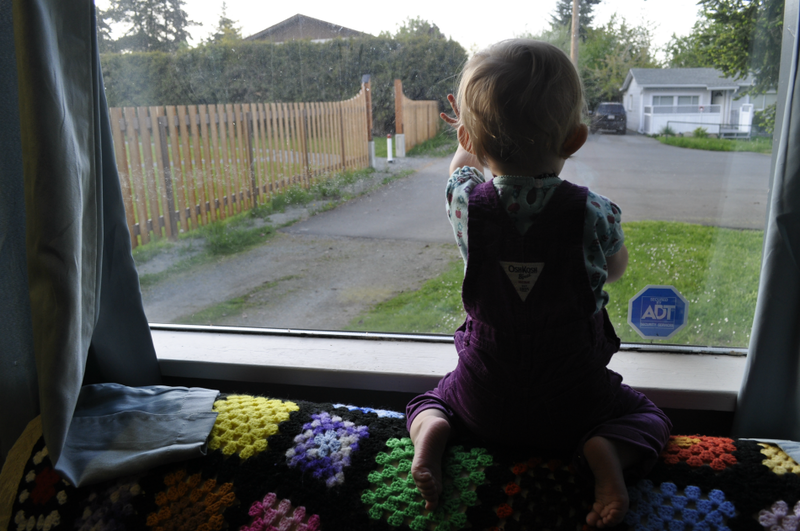 You are a keen observer and so enjoy watching the world around you, waving at everything that goes past our window. It is so very sweet. We have had a busy week, I can't believe that I am so late at posting. I swear it was just Sunday. I have a whole Mothers Day post written up that I just haven't had the chance to go through and edit/post. Hopefully things will slow down soon and I can finally get a chance to catch up.